Both the basic version as well as the premium version of the app is free. Although skeptics feel that this app will someday come at a cost, the developers are still offering it for free. The apps will work well for iOS as well as Android; however a few features (such as the referral feature) are still only available to Android users. The app allows users to switch easily between different screens through swipe technology. Because there are going to be so many reports available through the app (you can pull up reports from multiple profiles), this aspect is crucial to functionality and ease. According to recent research, there are now more mobile phones in the UK than people and the number of people using Smartphones to search the internet is doubling every two months. It is predicted that in three years time the sale of Tablets will be larger than PC sales. 38% of UK tablet owners spend more time on their tablet than watching TV. With this massive explosion in mobile internet usage, it comes as no surprise that Google have recently launched their new Google Analytics mobile app. Amanda DiSilvestro from Highervisibility explains that it is no secret that analytics are key when it comes to developing a great mobile app. You want to know who is using your app, how long these people are reading a particular article, which aspects of the app are getting the most traction, and at what times and through what outlets these people made it to a certain webpage. Once you have all of this information gathered, you can analyze the information and improve your app based upon what really works for your audience. The best way to make this happen is, of course, Google Analytics. Until just last week Google Analytics were available only on the desktop. After much anticipation, Google finally decided to make this information mobile by creating a set of reports now available through the Google Play store. There are really two things that have occurred in relation to Google Analytics: The Google Analytics app and Mobile Apps Analytics. The Google Analytics app is pretty self-explanatory: It’s just like Google Analytics only in the form of a mobile app. You can see all of your different profiles and check your stats just as you would on a desktop. 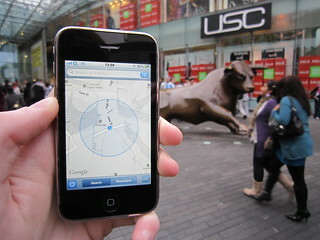 It remains to be seen if the idea of using a mobile device to research your visitor traffic will become popular. Although I can appreciate the convenience of being able to track responses to my latest Google Adwords campaign whilst on the move, for any heavy duty analytical research, I think I would still prefer the convenience of my desktop PC and wide screen monitor! If you found this website analysis post helpful, why not subscribe to my Blog by RSS Feed or Email and receive free Professional SEO Tips and Internet Marketing information, direct to your in box.